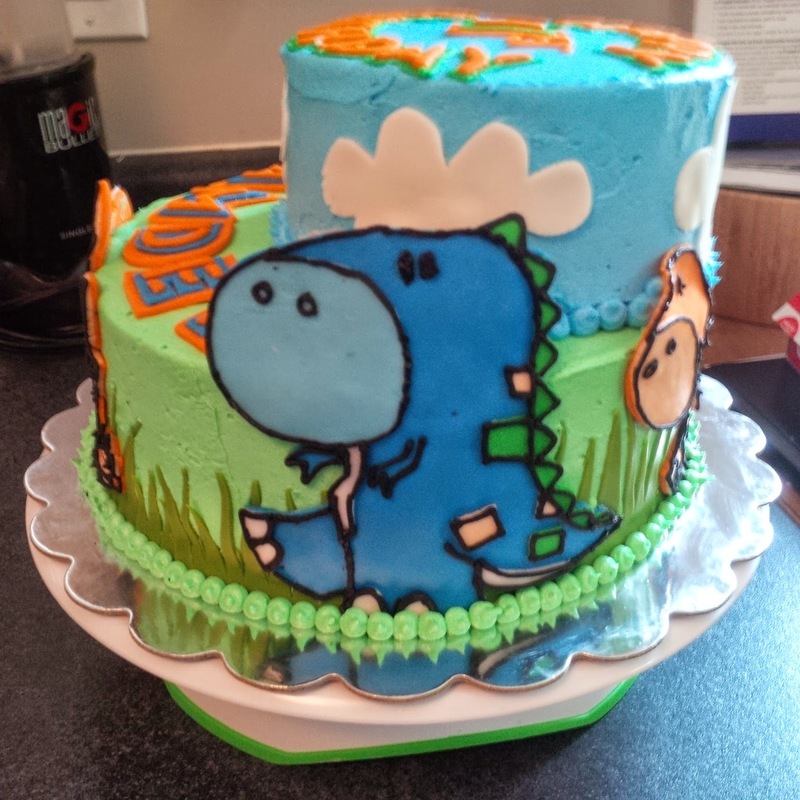 his cake was made to celebrate a Happy First Birthday! 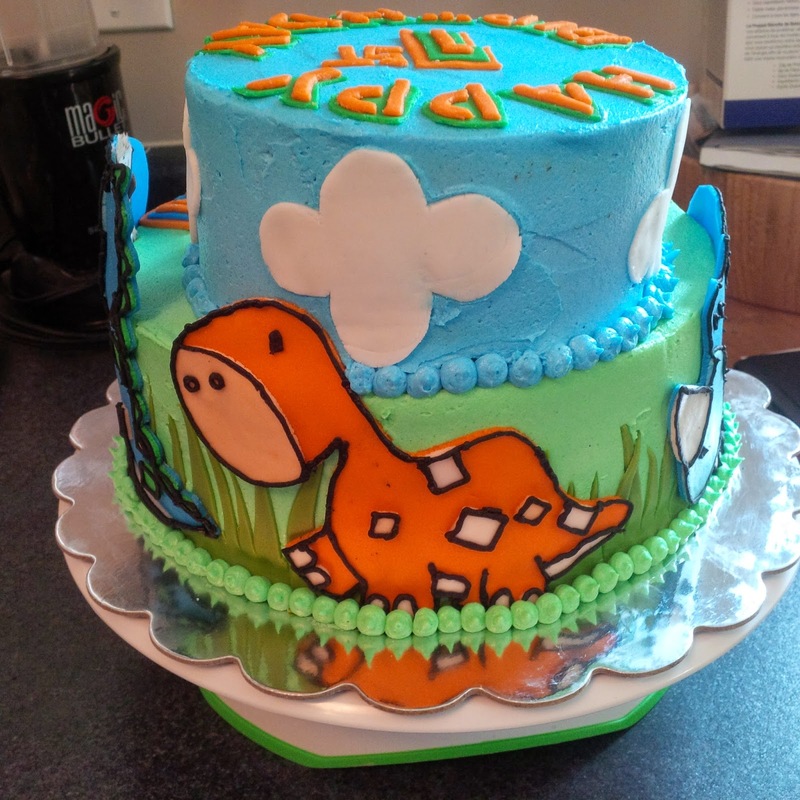 Size: This cake was made out of two 9 inch cake pans stacked ontop of each other and then two 6 inch cakes stacked ontop of that. 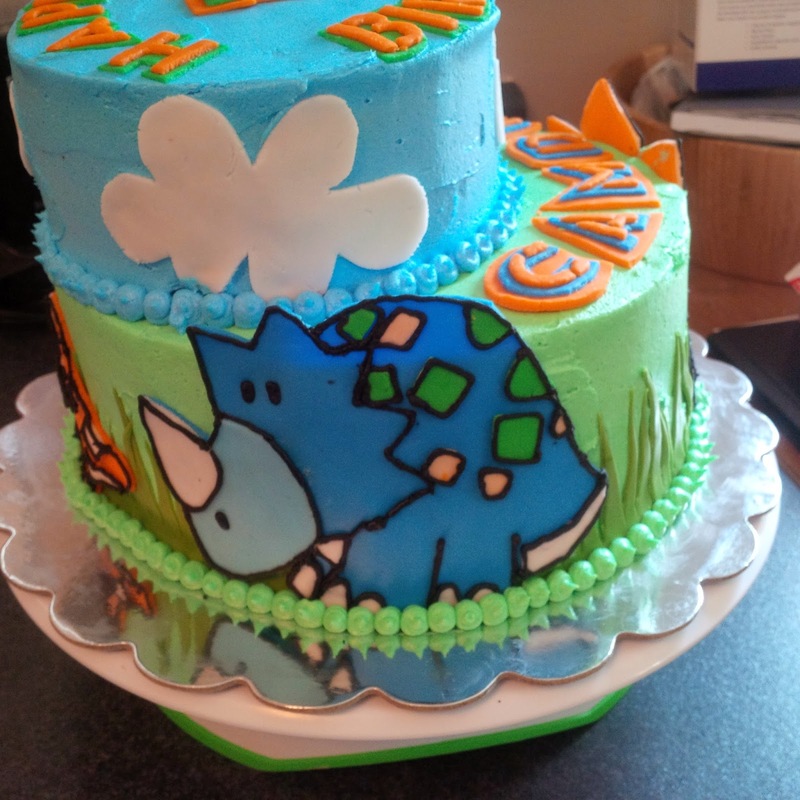 Filling: This cake was filled with homemade chocolate buttercream icing with chocolate pudding. 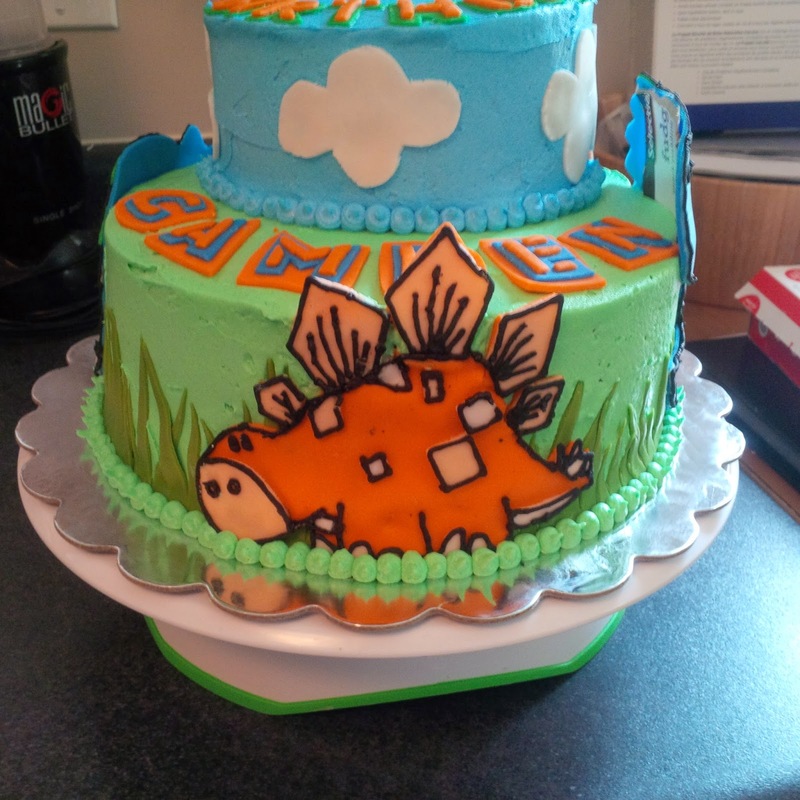 Icing and decorations: This cake was iced with homemade buttercream icing with letters, clouds and dinosours made out of homemade marshmallow fondant. 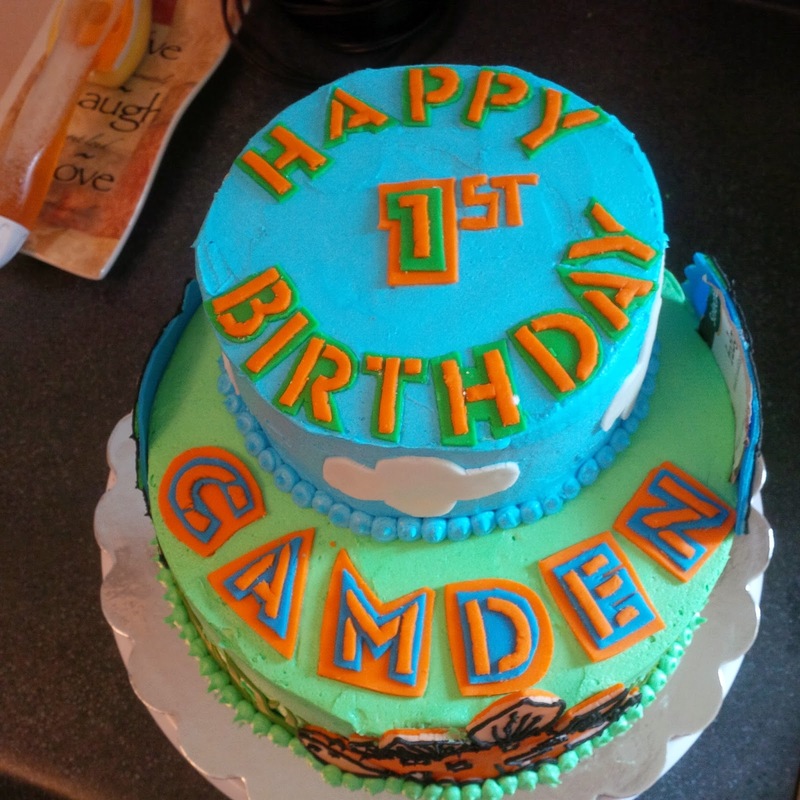 Everything on the cake is edible.